Brilliant Silver Metallic 2019 Nissan Leaf S FWD Single Speed Reducer Electric Nissan of Yorktown Heights serving Westchester, Mount Kisco, White Plains, Putnam Rockland and Dutchess Counties is number one Nissan Dealer in the area for customer satisfaction, call or click today to schedule a test drive or reserve a vehicle. 124/99 City/Highway MPG We have access to hundreds more used cars, so if you're not sure this is what you're looking for, give us a call today (914-737-3500) and we will work to make your vehicle research process as easy as possible. Brilliant Silver Metallic 2019 Nissan Leaf SV FWD Single Speed Reducer Electric Nissan of Yorktown Heights serving Westchester, Mount Kisco, White Plains, Putnam Rockland and Dutchess Counties is number one Nissan Dealer in the area for customer satisfaction, call or click today to schedule a test drive or reserve a vehicle. 124/99 City/Highway MPG We have access to hundreds more used cars, so if you're not sure this is what you're looking for, give us a call today (914-737-3500) and we will work to make your vehicle research process as easy as possible. Pearl White 2019 Nissan Leaf SV FWD Single Speed Reducer Electric Nissan of Yorktown Heights serving Westchester, Mount Kisco, White Plains, Putnam Rockland and Dutchess Counties is number one Nissan Dealer in the area for customer satisfaction, call or click today to schedule a test drive or reserve a vehicle. 124/99 City/Highway MPG We have access to hundreds more used cars, so if you're not sure this is what you're looking for, give us a call today (914-737-3500) and we will work to make your vehicle research process as easy as possible. Super Black 2019 Nissan Leaf SV FWD Single Speed Reducer Electric Nissan of Yorktown Heights serving Westchester, Mount Kisco, White Plains, Putnam Rockland and Dutchess Counties is number one Nissan Dealer in the area for customer satisfaction, call or click today to schedule a test drive or reserve a vehicle. 124/99 City/Highway MPG We have access to hundreds more used cars, so if you're not sure this is what you're looking for, give us a call today (914-737-3500) and we will work to make your vehicle research process as easy as possible. Gun Metallic 2019 Nissan Leaf SV FWD Single Speed Reducer Electric Nissan of Yorktown Heights serving Westchester, Mount Kisco, White Plains, Putnam Rockland and Dutchess Counties is number one Nissan Dealer in the area for customer satisfaction, call or click today to schedule a test drive or reserve a vehicle. 124/99 City/Highway MPG We have access to hundreds more used cars, so if you're not sure this is what you're looking for, give us a call today (914-737-3500) and we will work to make your vehicle research process as easy as possible. 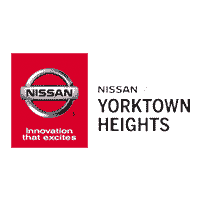 Scarlet 2019 Nissan Leaf SV FWD Single Speed Reducer Electric Nissan of Yorktown Heights serving Westchester, Mount Kisco, White Plains, Putnam Rockland and Dutchess Counties is number one Nissan Dealer in the area for customer satisfaction, call or click today to schedule a test drive or reserve a vehicle. 124/99 City/Highway MPG We have access to hundreds more used cars, so if you're not sure this is what you're looking for, give us a call today (914-737-3500) and we will work to make your vehicle research process as easy as possible. Scarlet 2019 Nissan Leaf SL FWD Single Speed Reducer Electric Nissan of Yorktown Heights serving Westchester, Mount Kisco, White Plains, Putnam Rockland and Dutchess Counties is number one Nissan Dealer in the area for customer satisfaction, call or click today to schedule a test drive or reserve a vehicle. 124/99 City/Highway MPG We have access to hundreds more used cars, so if you're not sure this is what you're looking for, give us a call today (914-737-3500) and we will work to make your vehicle research process as easy as possible.